Editor's note: Dwight Bashir is Deputy Director of Policy and Research at the U.S. Commission on International Religious Freedom. You can follow him @DwightBashir. The views expressed are his own. This coming week, two seemingly unrelated events concerning Iran are taking place. First, the U.N. expert on human rights in Iran is presenting his latest report in Geneva at the 25th session of the UN Human Rights Council, and will conclude that conditions have not improved since President Hassan Rouhani took office last August. Second, in Vienna, global powers (P5+1) begin the next round of talks with Iran seeking a comprehensive, long-term deal over Tehran's nuclear program. On the face of it, Iran's human rights record and its nuclear capabilities have little or no connection. But a deeper look suggests that they in fact do – and the implications are profound. In January, the United States and European Union eased some economic sanctions as a first step toward implementing the short-term agreement struck in November. Today, supporters of a long-term nuclear deal increasingly advocate the complete lifting of sanctions of any kind. In essence, they endorse the following logic: If you favor sanctioning Iran, you are advancing a policy of belligerence. If not, you back diplomacy. The implication is that if the United States wishes to pursue constructive diplomacy, it would do well to reject sanctions, period. But the premise of this thinking – that sanctions and peacemaking are incompatible – is flawed. It assumes that the quest for a deal will be harmed by the type of broad-based actions, affecting all of Iran, which certain sanctions entail. Yet even if this were true, it ignores an unassailable fact: There are other kinds of sanctions that don’t affect the Iranian people as a whole, but which instead train a careful but glaring spotlight on selected Iranian officials who are themselves obstacles to peace, while highlighting the opportunity of purported moderates like President Rouhani to pursue diplomacy. In so doing, such sanctions could well advance, not thwart, efforts for an accord. "As we test the potential for a diplomatic resolution to the nuclear issue...another key test is...progress on human rights. Our sanctions on Iran's human rights abusers will continue..."
Rice's words recall two salient facts. First, targeted sanctions are not an untried idea. As she implies, they were available when she spoke. Second, as anyone familiar with these sanctions knows, the human rights abusers being targeted weren’t moderate peacemakers, but unabashed hardliners historically opposed to diplomacy with the West. Two American laws provide for such sanctions: the Comprehensive Iran Sanctions, Accountability, and Divestment Act of 2010 (CISADA) and the Iran Threat Reduction and Syria Human Rights Act of 2012. Both allow for travel bans and asset freezes on Iranians deemed responsible for, or complicit in, violations after Iran's 2009 disputed presidential elections, while CISADA explicitly calls for identifying officials involved in severe abuses of religious freedom. The problem, though, is this: Washington has failed to publicly name a single abuser since Rouhani's electoral victory in June of 2013. While hardliners continue to trample on human rights – including the freedoms of religion and expression, association and assembly – the United States has abandoned rights sanctions for now, despite Rice's words. This retreat is inexplicable. Far from harming Iran's people, these sanctions proclaim our solidarity with them, while naming and shaming those who abuse them – typically the same officials who impede diplomacy, including a sensible nuclear deal. For those who believe Iran has moderates willing and able to enact rights reforms and strike a nuclear deal, and that Rouhani is among them, naming and shaming their natural opponents can only strengthen their hand. For those who insist that moderates either don't exist or have no power, sanctions put Tehran on notice that amidst the nuclear discussions, rights abuses matter and have consequences. 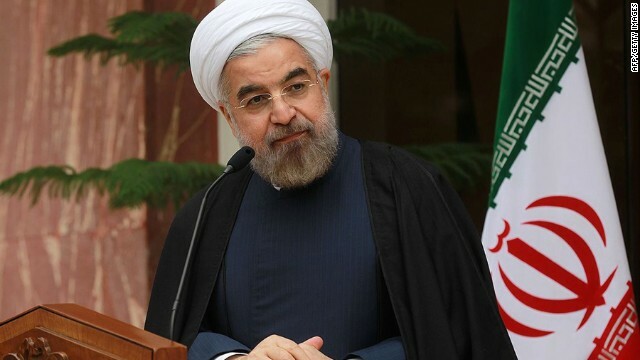 The jury is still out on whether Rouhani's promises to improve the rights of the Iranian people are being blocked by hardliners, or if Rouhani has any intention of fulfilling them. In either case, the Obama administration should return to sanctioning Iran's rights violators while the nuclear negotiations continue over the next several months. Such a strategy cleanly divides abusive officials from the people they've been abusing, the seemingly moderate colleagues they've been obstructing, and the peaceful nuclear outcome they've been resisting. It provides the United States and its European allies a stronger hand in holding Iran accountable under its international obligations while teasing out what cards the “moderates” may hold. In the end, human rights sanctions aren’t an obstacle to a long-term nuclear deal with Iran. Rather, they identify who the real obstacles are. And they represent what could be a key ingredient to peacefully resolving the nuclear standoff. Do we Americans realize that our own CEO's imposed gargantuan sanctions, against us, the American people, when they shipped all our jobs overseas? And less than 10,000 of these super-rich traitors continue to live opulently, in gated mansions, on a hill not too far from you? Who cares about sanctions against Iran or Russia! Verily I say unto you, we Americans have been "sanctioned" into poverty, by our very own super-rich CEO's. How come there is absolutely no discussion, at any level, about this "elephant in the room"?????? The "elephant in the room" is the willingness of so many commenters here to switch the subject from Tehran to just about anything. Yes, indeed, and these sanctions, against the average American, leaving them jobless, have had a much more devastating effect, than any sanctions the US and its NATO buddies can impose on any other country! Iran regime executed more than 500 people last year without holding court and right of having lawyer! Thousands of prisoners are in waiting list to get executed! That's correct. Facts are stubborn things, aren't they.